A strong spirit doesn't come from basking in the glow of refinement; it comes from digging deep into the darkness and finding the strength to persevere. 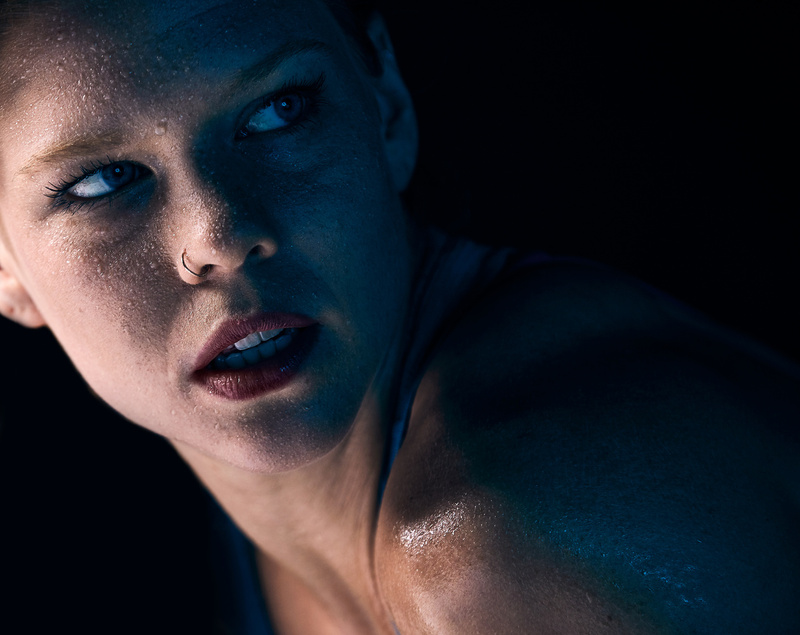 Technical: Shot with a Canon 5DmkIV and Canon 70-200mm f/2.8L IS II, shooting tethered into Capture One Pro 10. Nearly all processing was done in Capture One, with only slight modifications in Photoshop. Lighting was a Profoto B1 with white beauty dish camera left, and B1 with L silver umbrella with blue gel behind camera, slightly right. The warm, soft light, mixed with the dimmer cool, hard light represents the dichotomy of beauty coming from struggle. Great shot. I love the story it tells...at least the one that I envision. Nice work, Caleb.